The Niligiri Town – Coonoor!! The idea of a solo trip, 36 hours of train journey, crossing 5 Indian states and reaching the destination was enough to excite me. It caused a stir in the air. The journey was from Delhi to Bangalore. 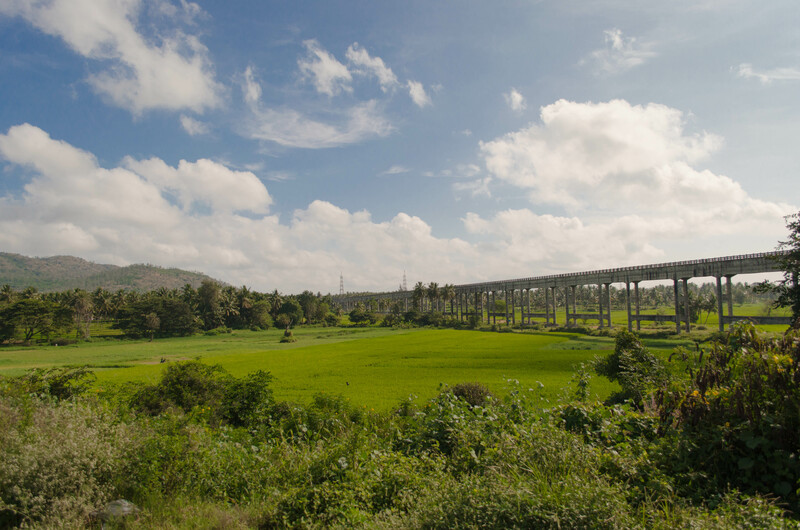 The train was supposed to cross 5 sates; UP, MP, Maharashtra, AP, Telengana and finally reach Karnataka. The train was scheduled at 20:45 and since morning I was experiencing butterflies in my stomach. It was due to nervousness of first time traveling alone. Anyways! I boarded train from Nizamuddin Station and it was on time. Dinner was served immediately after the train started. The train crew was good in service and took good care of passengers. But the food was not good and I almost avoided it till I got hunger pangs. Uff! It was painful but watching the changing terrain outside was fun and I didn’t mind railway catering service serving bad food :). After spending 2 nights and 36 hours in train, I breathed in the AC (Air Condition) city of India, Bangalore. The morning air was fresh and weather was cool. In India, you have to be careful about Auto Wallahs. They can easily fool you if you are new in the city. I was fooled too and paid almost double the fare to reach my brother’s place. I was in Bangalore for about a week; strolling streets of AC city on my own, doing cafe and restaurant hopping and buying souvenirs for the lovely people in Delhi. Spending a week there seems less to me, as Cafe Culture is so strong in Bangalore that I feel so much is still left to explore. I will some other day write about Bangalore and would rather focus on the main subject of this post. Weekend getaway was planned to Coonoor, a hill station in Tamilnadu. 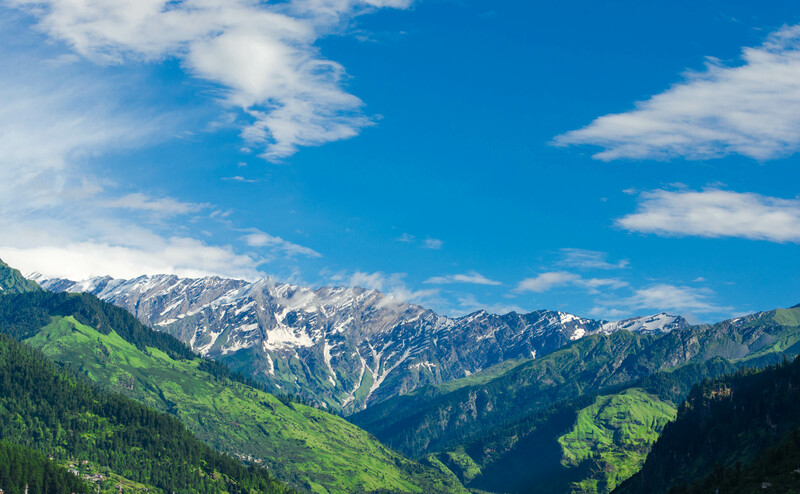 Surrounded by Nilgiri Hills, it is the second largest hill station of Tamilnadu after Ooty. 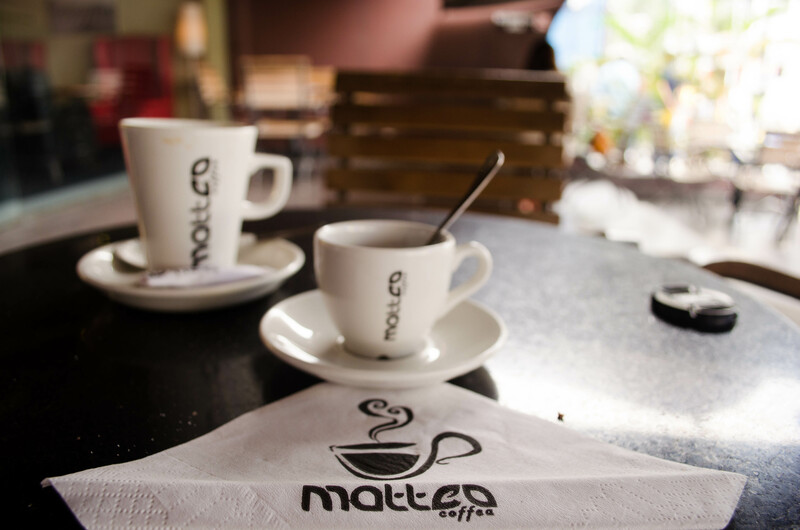 With years, Ooty has become more crowded and commercialized. So for a peaceful weekend, Coonoor was selected. Distance from Bangalore to Coonoor is approximately 290km and it took around 9 hours to reach there. After crossing Bandipur Forest Reserve, Karnataka and entering into Mudumalai Tiger Reserve, Tamilnadu, there is a check post and you will be charged hefty fine for carrying alcohol with you. Tamilnadu Government doesn’t allow carrying alcohol from other state and rather promote sale of alcohol in Tamilnadu. So if you are traveling to Coonoor via Mysore, it is advisable not to carry alcohol with you as the amount of fine will be greater than amount of bottles of alcohol. Tragic Story!! Anyways, surpassing huge coconut trees in Karnataka, you will be welcomed with Eucalyptus trees and tea plantation in Tamilnadu. The 36 hair pin bends that lead to Ooty gives the picturesque view of the valley which is also a part of Western Ghats. It was a moment of wow!! Greenery of Nilgiri Hills, azure sky, blossoming flowers, and clouds all added to the excitement. Transcending further on the steeped roads of hills, we finally reached “The Nest” – home stay at Coonoor. The simple rice and daal was heaven for devil (hungry stomach) in us. After having food, we decided to walk in the tea estates around the guesthouse. Sun was playing hide and seek and the houses in sun rays were looking like colorful painting. The world is beautiful painting created by Thee. Since we were short on time, the attendant at guesthouse suggested us to go to see Ralliah Dam next morning and we were warned about encountering bison on the way. Not caring about any bison, fearless!! We got ready to visit Ralliah Dam next morning. 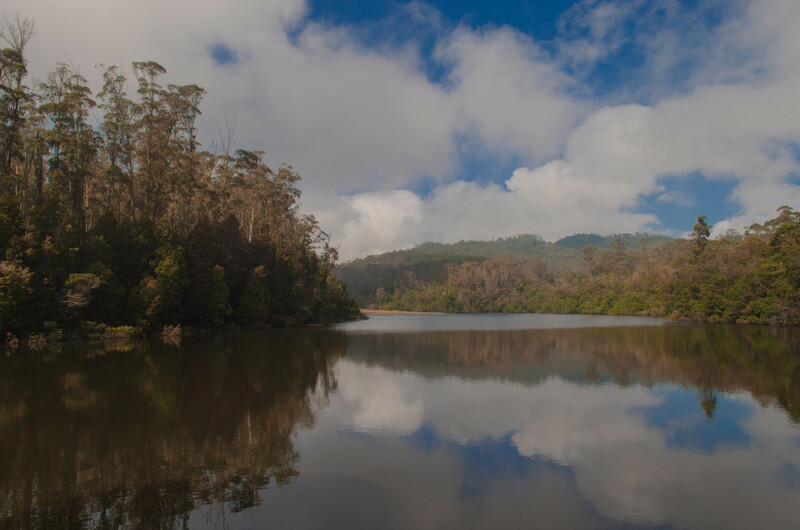 It is a 1km uphill trek which goes from tea plantation to a forest. The walk to the dam is scenic and silent. Going uphill you will see waterfalls, wild flora including various sizes of mushrooms and at least once you will talk about Man vs. Wild. We too did :). The dam remains filled with water after monsoon being the major source of water for the town. If lucky enough you can get to see Malabar Squirrels. They have got beautiful color and it is fun to watch them :). After spending some time in peaceful surroundings of dam, we headed back to the guest house and literally had finger licking south Indian breakfast. The best part of choosing home stays is you get to eat authentic home made food of that region. I got a tan and I read somewhere that “tans will fade but the memories will remain forever”. True that!! Memories are forever. The journey to Coonoor was breathtaking and stay was peaceful for mind and soul. I am thankful to my brother for organizing this wonderful trip. Here is a picture journey of Coonoor. Rambling in the blue city! Here I am, with yet another travelogue. This time writing about a quick escape to have a peek into the rich heritage of the royal family of Jodhpur. 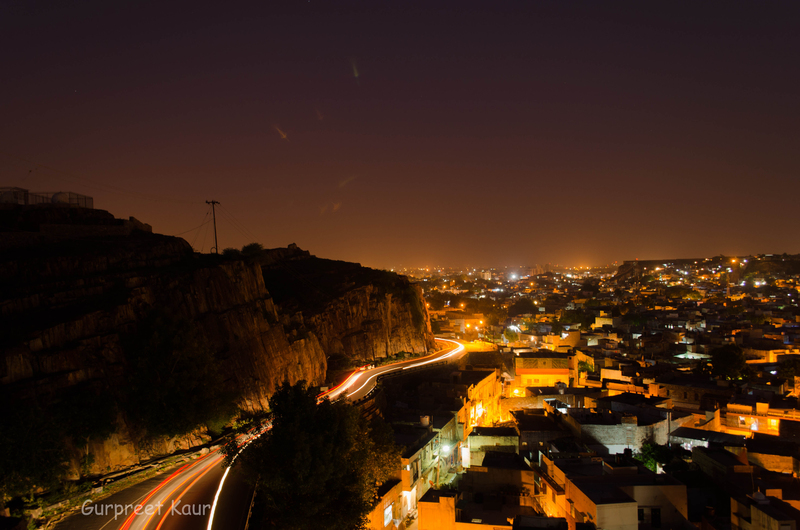 Jodhpur is the second largest city in Rajasthan after Jaipur. It is also called the blue city because of the houses in the city painted in indigo. Earlier, only Brahmins were allowed to paint their houses with indigo color that depicted their high class. As of now, not many houses are in blue color(as shown in the pictures on Google) but anyone can paint their house with indigo, shunning off the social barriers. There are direct trains from Delhi to Jodhpur and takes around 10 hours to reach Jodhpur. It is also well connected to major cities like Jaipur via roads.Belonging to a class of working professionals and always getting less leaves than required (story of every working person. Sigh!! ), we prefer to travel during night so that we get whole day for wandering and exploring the city. The journey started on Friday night on Mandore Express at 9:15 pm from old Delhi railway station. As per IST (Indian Standard Time), train ran late and we got little late to reach our destination. Finally, after around ten and a half hours of journey, we breathed into the city which greeted us with a unique scent. Crossing the narrow alleys of the city in auto (which the hotel owner had sent for pick up), we reached our hotel. Hem Heritage is a simple hotel with basic amenities. The streets around the city are not clean. After getting fresh and satisfying our empty tummy, we were ready for rambling around the city. 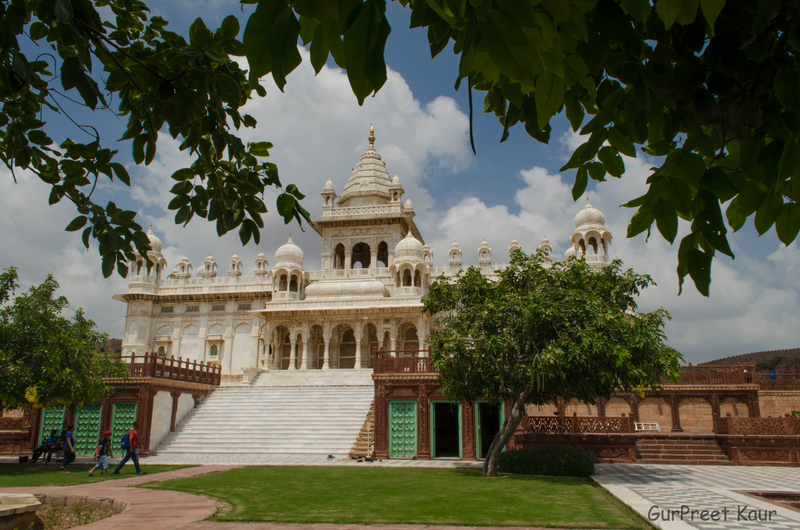 Jaswant thada is a mausoleum built by Maharaja Sardar Singh in his memory. It is made up of very finely carved sheets of white marble. The intricate jali work on the windows shows the prolific work done by sculptors. As per the locals, such a fine marble is used to build up this cenotaph that it glows when sun rays fall on it. There is a also a a beautiful pond with lotus floating in it, surrounded by lush green garden. Just outside it there was a man playing a long instrument. As of a curious nature, I went to him and asked about the instrument. It was Ravanhatha, “Ravan” used to play this instrument while worshiping. It was like Indian version of violin. We tried our hands on it and the music that came out was as bad as it can be. To all those who are reading this, I would request that if ever anywhere you come across such musicians, acknowledge their talent by giving them some money. It won’t pinch our pocket but will be of some help to them. It’s one of the largest forts in India built by Rao Jodha. It is built few meters above the city and is enclosed by thick walls. There are many palaces in it which are carved beautifully. On climbing the narrow stairs that lead to the top floor, one can see the view of city along with the huge cannons on display. Yes! you can get a picture clicked with cannons and boast about it on a social networking site 😛 :D. We spent few hours clicking pictures here and of course getting ourselves clicked :). It’s a huge fort and you can surely get tired. But don’t worry! there is a restaurant in the fort area, you can quickly grab a bite of Rajasthani delicacies and re energize yourselves. The fort also have treasures like armory, guns, swords, palanquins, musical instruments from that era. Though it was only 5 in the evening, we decided to go back to Jaswant Thada and spend our time there. 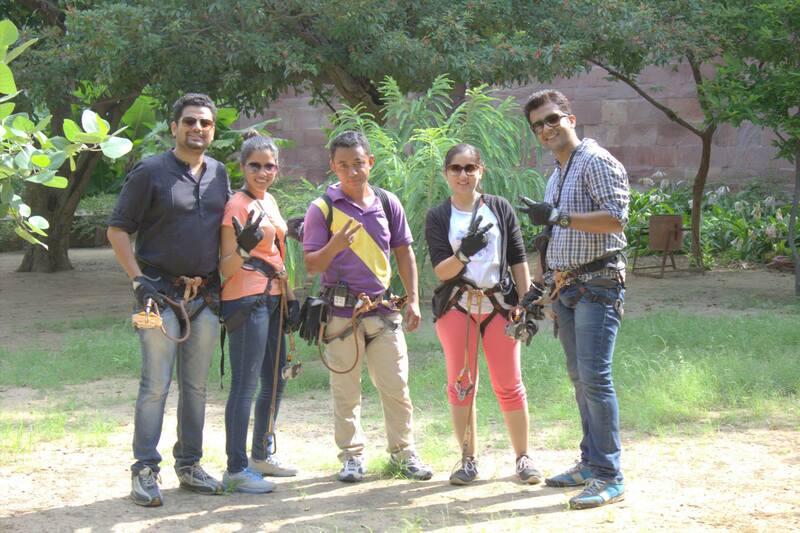 It’s at lesser height than Mehrangarh Fort but height is good enough to have a view of city. We relaxed, talked, danced, sang and desperately waited for sunset. Just after the sunset, the cool breeze started blowing and city was immersed in lights. The view was mesmerizing. We tried light trails and took some really nice shots and left the place with happy hearts. We then headed to gypsy restaurant for a Rajasthani Thali. They have a fixed price and menu for thali that serves unlimited food. The food was good enough to satiate hungry evil in us. We then walked towards our hotel singing some really cheesy Bollywood numbers. We were drunk without even drinking ;). After hatching a plan for next day, we went to catch some Z’s. The day started early for me and one of my friend, as we wanted to witness the sunrise. 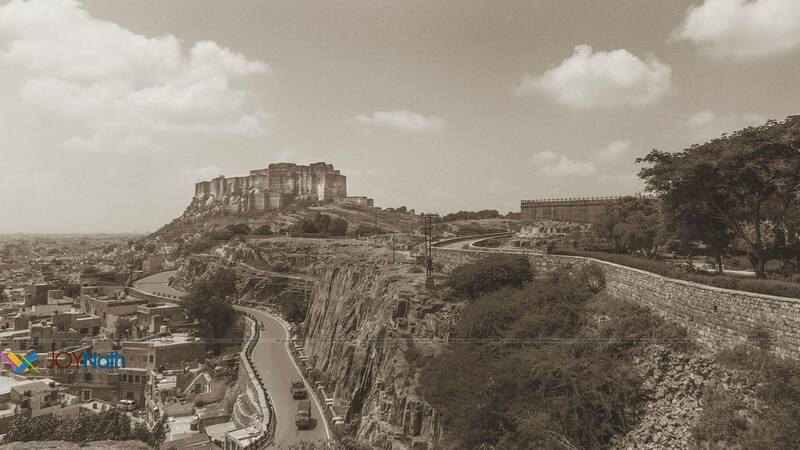 Walking on the steep road, huffed and puffed, we managed to reach Mehrangarh Fort. The cool breeze, fort lit under moon light, moon playing hide and seek with clouds, the stars, the view was majestic and is unforgettable. It took me to a different world. The feeling is unexplainable. It is something that can only be felt. Anyways, as the sun rose, we heard roaster crowing, we saw people waking up from their sleep on their terrace and getting busy with their day’s activities. One thing we noticed was that almost every terrace had a design made by marble on the floor. I don’t know whether it carries some significance or it is just for decoration, we just noticed it. In some time, day started getting hot and we headed back towards our hotel where other friends were getting ready for zip-lining to get an adrenaline rush. Absorbed in the aura of sunrise, two of us decided to unlax. We then went for breakfast to Jhankar restaurant. Food was awesomely bad but we had great time in consoling ourselves about the greatness and richness of food. Not satisfied with the food, we finally headed towards our last stoppage – Umaid Bhawan. 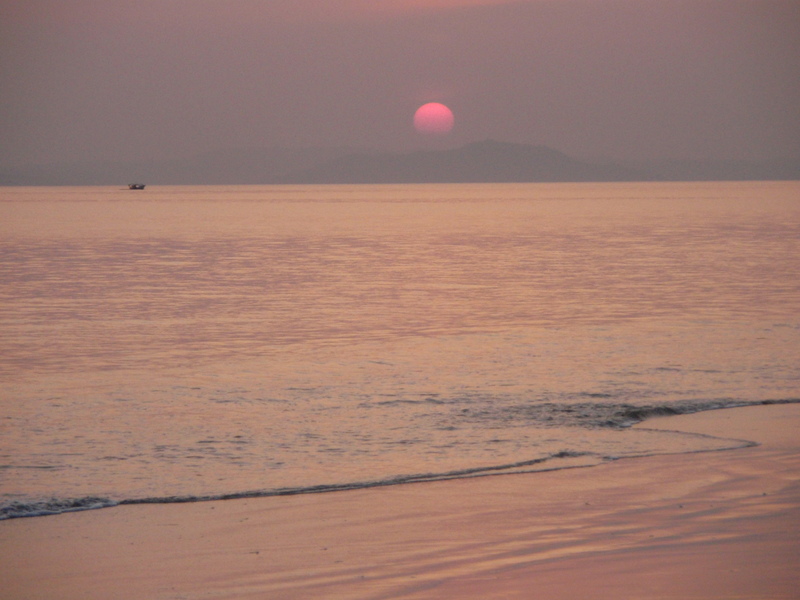 Of all the very few places which I have visited till now, Havelock Island remains closest to my heart! 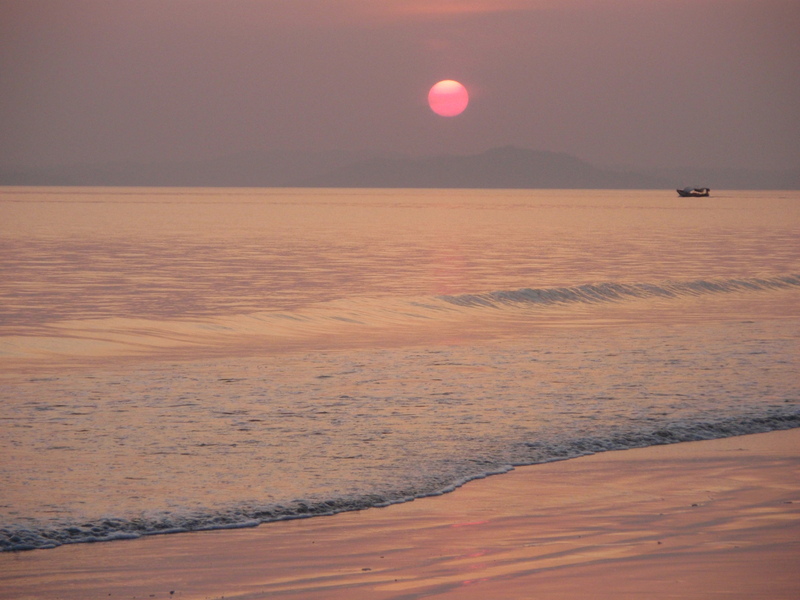 It is a beautiful island within the Andaman group of Islands. 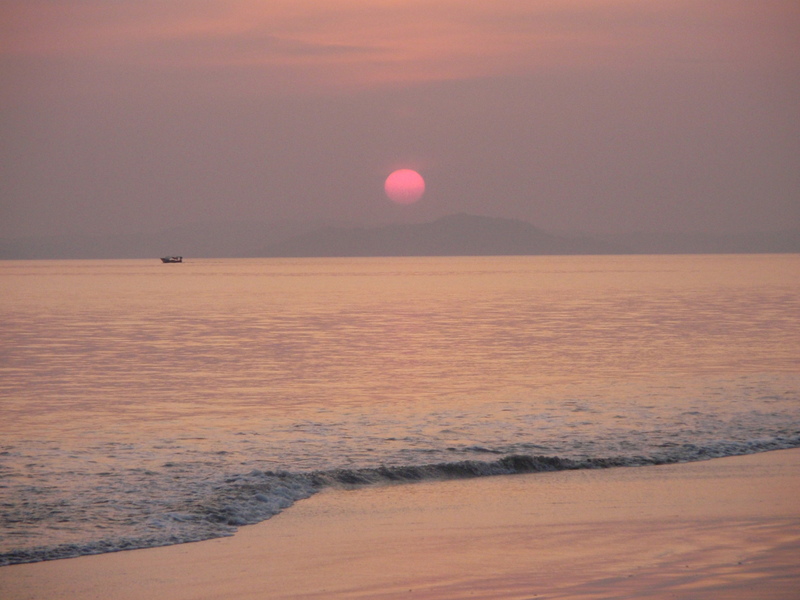 The only way to reach there from Port Blair is by a steamer or a ship. It takes around 2 hours on ship to reach Havelock from Port Blair. 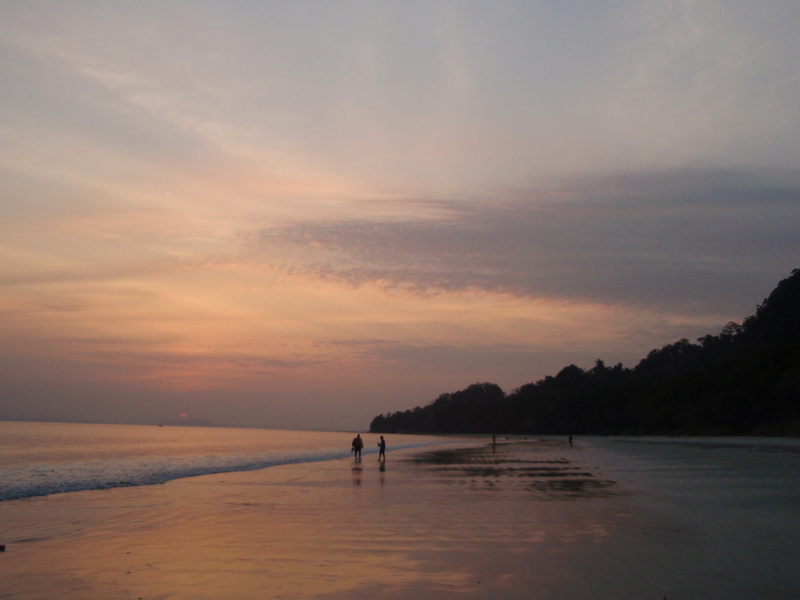 On reaching Havelock Island, you will be greeted through its green alleys. I have some very fond memories of this place. 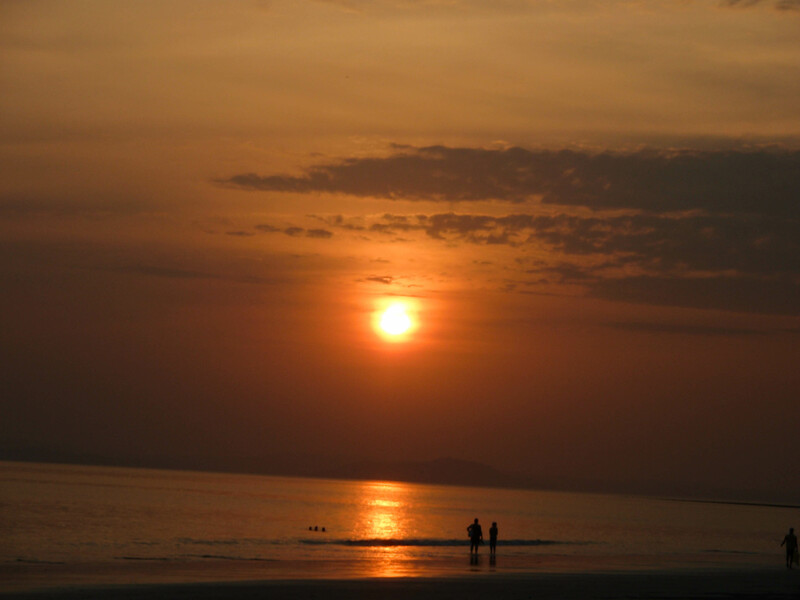 The sunset at Havelock stirred a connection in me for the mystic natural beauty of the place. Andaman being closer to Chennai from one side and Kolkata from the other, so it happens to have dwellers from both Tamil Nadu and Bengal region. I remember learning my very first Bengali word “Bhalo” from a little Bengali girl aboard the ship. She only spoke Bengali and while I was trying to understand what she meant, her mother intervened to explain the meaning of the word. The incident would be remembered by me through out my life. This was the day when I felt in love with my surroundings. The fiery red colour of sky stirred all sorts of romantic emotions in me. Being there was bliss indeed! In silence I looked at the sunset and thought about God. I long to get lost, inside the evening-twilight. 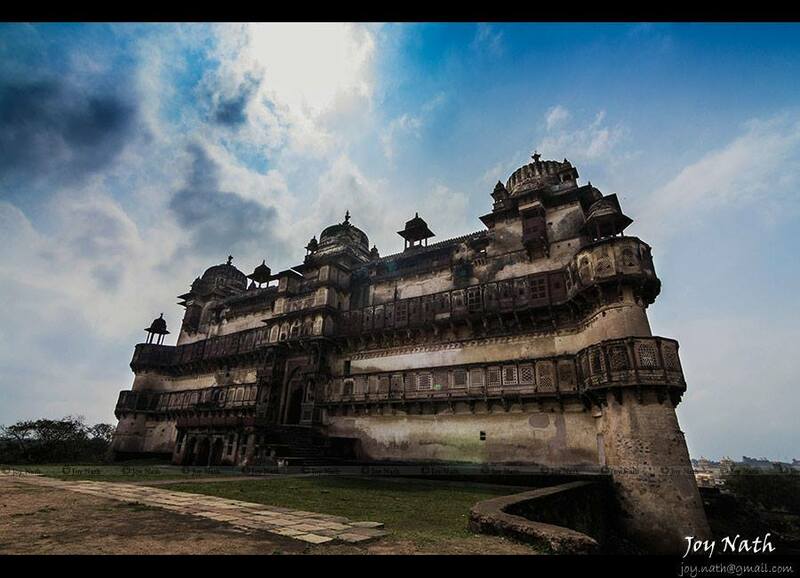 Orchha – A Hidden Gem!! 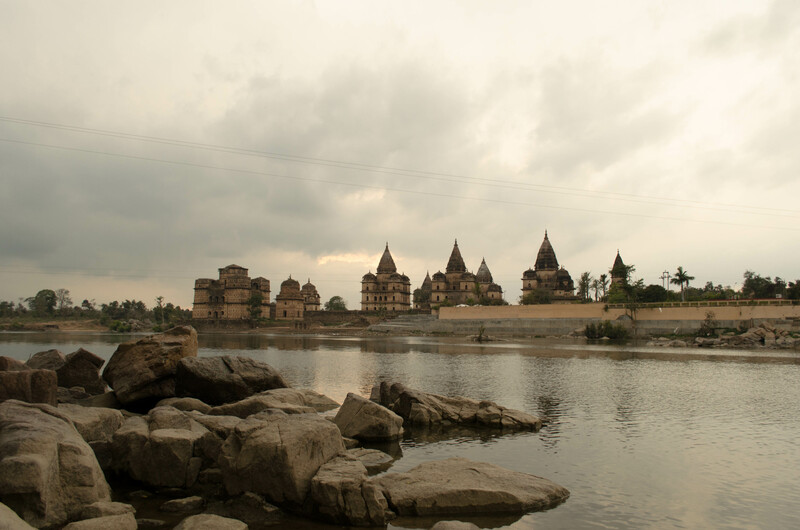 Orchha is an idyllic town on the banks of Betwa river in the Tikamgarh District of Madhya Pradesh. Orchha means “hidden”. It is aptly named, as for many years it remained hidden in the dense forest. Until 15th century, when Bundela Chieftain Maharaja Rudra Pratap Singh founded this place and decided to build his kingdom here. The construction work of Orchha fort was started under his rule but was completed by one of the strongest successors and rulers of Bundela kingdom – Raja Madhukar Shah. It is written in the pages of history that Raja Rudra Pratap Singh died while saving a Cow from a Lion. 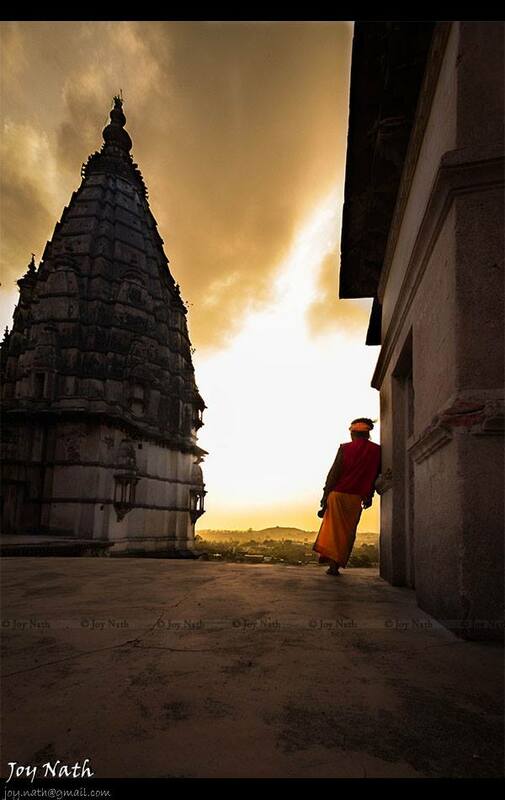 Orchha is a quaint village dotted with magnificent palaces, temples and cenotaphs. The palaces depicts the emaculate work of artisans on Hindu and Islamic architecture. The journey started from Delhi by Bhopal Shatabdi. Jhansi is the nearest railway station to Orchha. It is 20k.m from Jhansi. By the time we reached Orchha half a day was already passed. 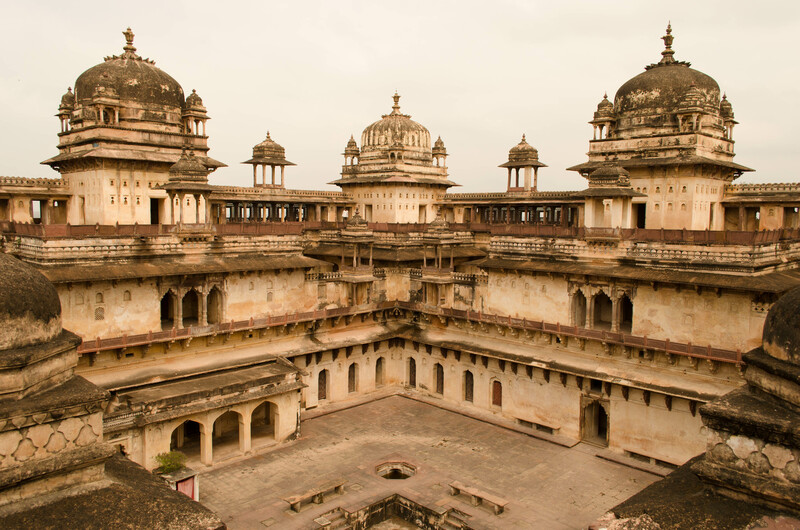 And we were suggested by locals to start our sightseeing to Orchha from next day as there is a single pass valid for a day to visit all the palaces, temples and cenotaphs in Orchha. So we decided to explore the town on bicycles which were available from our homestay on rent. Surpassing the alleys of Orchha, we reached on a bridge built over a river that connects town from one end to a Nature Reservoir on the other end. The picturesque rocky shores and river were mesmerizing. We crossed the bridge and reached Nature Reservoir. There is a sunset point on the banks of Betwa River. The only way to reach that point is through reservoir. There is a minimal charge of Rs.15 for Indians to enter the reservoir. And it has many small sanctuaries in it. It was a rainy day so we didn’t get to see any sunset but the fizzling sound of Betwa was magical. The flowing river seemed to me as if some musician is playing a stringed instrument. It was already dark and we had to go back to our homestay. It was Shivratri and streets were full of Mobile DJ’s and people dancing to the beats of bhajans. 1) Jahangir Mahal: It is the most princely palace of the complex. It was built by Raja Vir Singh Bundela for his friend Saleem, then the Emperor of India, to welcome him on his visit to Orchha. The gateway to the palace is splendid. A large door is haunched by two elephants and above it are windows and balconies. There is a large courtyard in the centre of the palace. And one can see stairs leading to the balconies of the three storeys palace. The jharokhas, domes, balconies, rooms, chhatris clearly depicts the fecund imagination of Raja Vir Singh and the influence of Mughal architecture on him. Some of the rooms in the palace have murals of Gods and Goddesses on the walls. 2) Raja Mahal: It was started by Maharaja Rudra Pratap Singh in 15th Century and was completed by Raja Madhukar Shah in 17th century. In the centre of the Mahal is a huge stage to hold the prformaces of the artists of that time. It is not as fascinating as Jahangir Mahal. 3) Rai Praveen Mahal: Raja Indrajeet Singh (brother of Raja Vir Singh) had many dancers and poetess in his courtyard. But the most beautiful and intelligent in the reign was Rai Praveen. Even Emperor Akbar was enchanted by her beauty and asked for her to be sent to Delhi. On reaching Delhi, Rai Praveen impressed the Emperor with her love for Raja Indrajeet Singh and she was sent back to Orchha. This palace was built by Raja Indrajeet Singh for her. After exploring palaces, it was time for a tea break. I strongly believe that we Indians tend to drink tea not only to energize ourselves but to sit and share our experiences. After having sumptuous pakodas with finger-licking green chutney, we headed towards river to explore the cenotaphs or chatris built at the banks of the river. It is very unusual to see cenotaphs built for Hindu Kings as tombs are associated with Mughal Rulers. Entry to some of the Chattris is open but we didn’t go inside as the closing time for Cenotaphs is 5:00 pm and only 10 minutes were left. One can see vultures sitting on the top of the domes. It was a day to visit temples of Orchha and we started with Lakshmi Narayan Temple as this was the first temple on the way. A large slope leads to the temple. The temple looks like as if it has a triangular shape but it is rectangular in shape. It was built by Raja Vir Singh Bundela. It combines the feature of temple and fort. 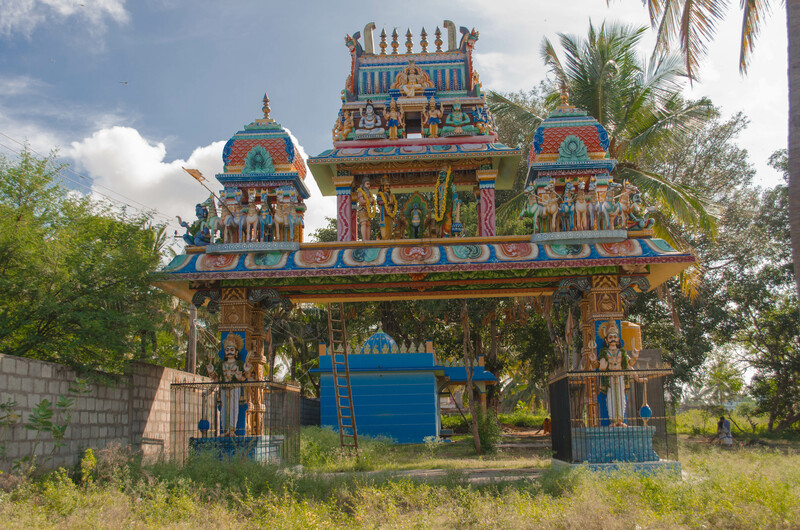 The unique temple is not abided by its traditional definition and features as it lacks the presence of any idol. More surprisingly, it even allows the visitors to step in with their footwear. 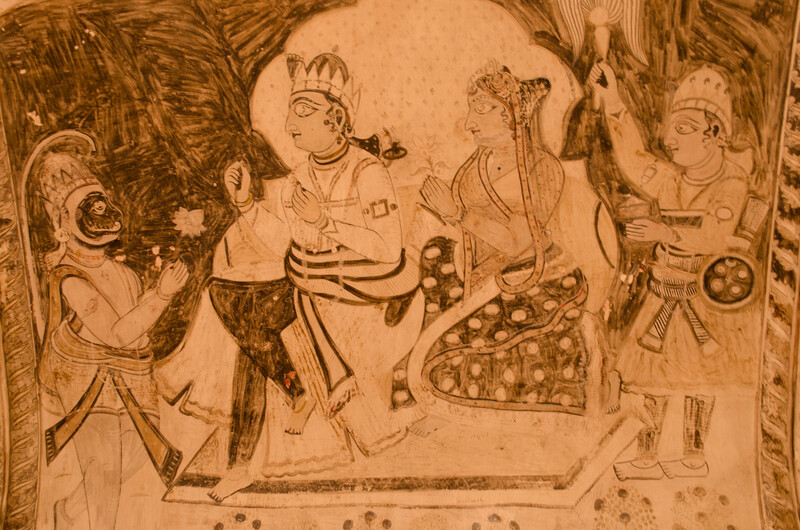 Some rooms of the temples have beautiful murals showcasing the scenes from Ramayana, Mahabharta, hunting scenes and even paintings of Britishers having a drink. Then was Chaturbhuj Temple. This was the temple built by Madhukar Shah to house the idol of Lord Rama. But since the idol could not be shifted to this temple. It was dedicated to four armed – Vishnu, hence named Chaturbhuj Temple. It is surmounted by four conical shikaras on the four corners. The day ended by seeing Light and Sound Show at Fort Complex which was entertaining and informative both. 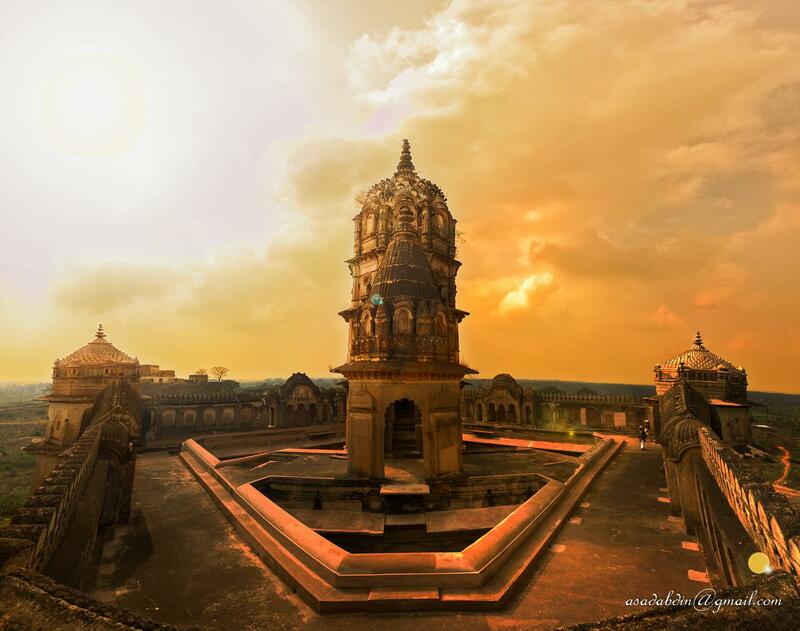 Thanks to the show, I have been able to write about Orchha. The visit to Orchha was small and simple. It is a calm town bearing testimony to the grandeur of Bundela Kingdom.